As so many more people switch over to using smartphones and tablets, there are a ton of music lovers of all ages learning how to take advantage of their new technology. If you’re one of the folks looking for some new apps, I’ve got a great one for you to try. Gone are the days when you heard a song you loved on the radio and had to wait for the next station break, hoping to catch the title. Now if you (or your care recipient) hears a great song on the radio or on TV, you can use a music identification app to tell you the title of the song and who is performing it. 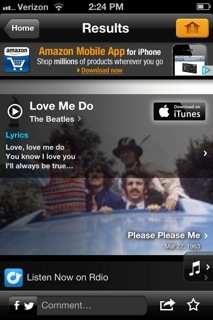 Two apps – Shazam and Soundhound – both do music identification. Both are free, although you can pay a couple of bucks to get rid of the ads, if you wish. Either one would probably work for you, but I prefer Soundhound, so that’s the one I’ll describe here. First, download the app onto your device using the App Store (iPhone or iPad) or Google Play (Android). When you hear a song you like, click on the icon to open Soundhound. 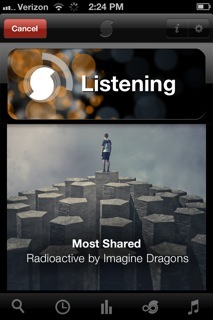 Click the big yellow button for the app to listen to your song. You can then download the song, if you wish. Click on the search button, and you can find other songs, perhaps by the same artist. 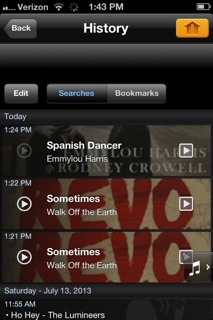 Click on the history button, and you’ll get a list of the songs you’ve had identified by the app previously. This is handy if you decide to buy the song later. 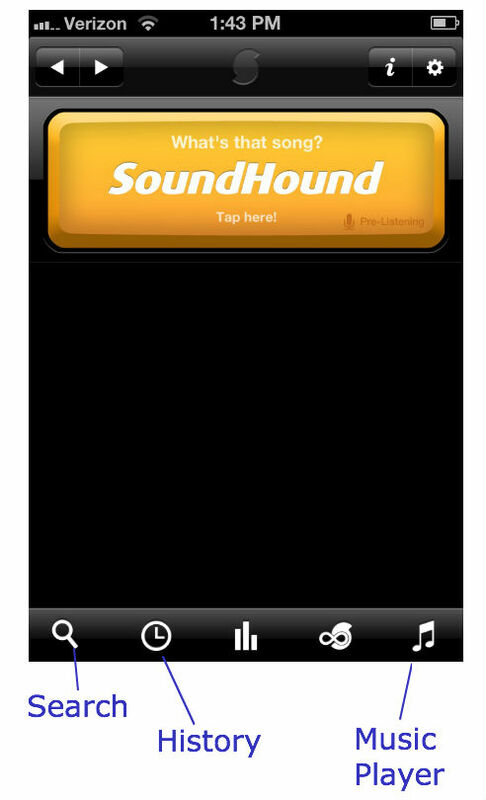 Click on the music button, and Soundhound will play the music you have stored on your device. It will even show you the lyrics, moving live with the lyrics if that song is in their database. This is great for singing along! I have found this app to be extremely helpful just to identify the songs I like on the radio, but it could also be great for caregivers, especially if you’re trying to identify songs that are familiar to your loved one but totally new to you. Did you like this post? Subscribe to our email newsletter to get even more good stuff each month. Professional caregivers: Find more tech tips and ideas for music in caregiving at Soundscaping Source, our dedicated site for eldercare professionals. 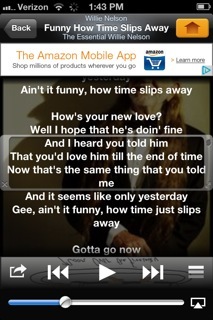 I’ve tried SoundHound, and it never ceases to amaze me (how does it *do* that??). I wish I had more opportunity to use it in my practise.